The second generation of the Crossover combines the precision and control of an iron with the ball speed and forgiveness of a hybrid. Fast ball speeds, a higher max height, more stopping power and straight ball flights provide unmatched versatility. Tungsten Weighted:A 20-gram tungsten toe weight increases forgiveness, resulting in 17% tighter dispersion. Thinner, Hybrid-Style Sole: Bounce and camber were reduced to thin the sole and achieve more consistent turf interaction, which translates to increased forgiveness. Iron-Like Gearing: A forward CG placement helps generate 40% more spin and 45% less shot bend to ensure straight, stable trajectories. The G400 is the first Ping Crossover. Good try, but sadly I need to return the club. 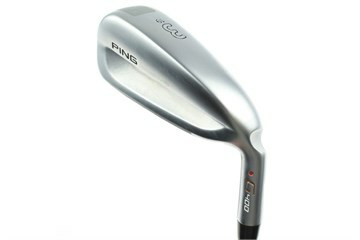 The G410 is the crossover from Ping. with the G410,they got it right. Excellent club at a good price. The crossover is a great club for those who like the look of an iron but want forgiveness. A great club off the tee to keep it in the fairway. Golfbidder service excellent as always and great value compared to high street prices. very nice club from the tee and from the rough. Thinking now about the 19 degree that can replace easly the 5 wood.